Red lines on skin can be an indication of a number of different skin conditions. These lines can be due to a large increase in weight over a very short duration of time. These lines can also be a sign of injury. If red lines are accompanied by pain and swelling among other symptoms they can be because of an infection of the skin. Many pregnant women get spider veins around their cheeks. Spider veins are formed by small capillaries expanding and becoming visible because of the increased blood flow in women bodies during the third trimester. Tiny red lines and ruptured veins are caused in a number of pregnant women all over their body. This usually occurs during the last few weeks of pregnancy. You can click HERE to learn more about this condition. 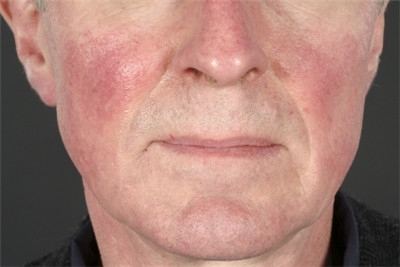 Rosacea is a condition of skin which causes red lines on skin in the form of veins on the face. The condition has no cure but medicines are available to relieve some of the pain of the patient. 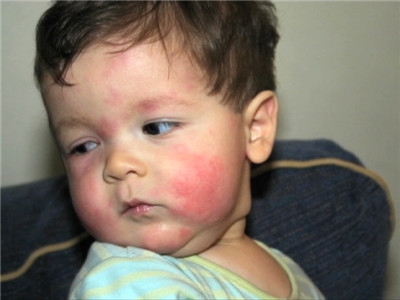 Eczema is a skin condition and illness also called atopic dermatitis. It can be caused by an allergy to a particular food. The resultant symptom of this disease also involves irritation and itching to the skin. The main food products responsible for triggering eczema into action involve wheat, soy and dairy products. There is no one test that can confirm the diagnosis of eczema, and that is the reason why physicians rely on a patient's family history to diagnose the disease. Eczema is a long term disease and the most common visible factor are its other symptoms which include rashes on almost all the parts of the body in addition to a dry and easily irritable skin. Photoaging and sun damage also lead to red lines on skin, especially the face. The condition results in the formation of highly visible red veins on cheeks, nose, ears and face. The major cause of occurrence of this condition is an increased and unsafe subjection to ultraviolet light that is coming from the sun or different sunbeds. Rash that looks like scratches can be formed on the skin when our immune system misbehaves. Some people's immune system is allergic to peanuts, nuts, eggs and shellfish and starts attacking these food products. When our immune system assumes a food to be an allergen, it starts to produce immunoglobulin E and histamines in the blood stream. These chemicals cause our skin to become irritated and we start scratching our skin. As we scratch our skin, it gives the appearance of rashes and/or scratches. Skin writing is another name given to the condition dermatographia. Even light scratching of skin by people suffering from this condition can cause the scratches to redden and turn into a raised wheal just like in the case of hives. Such marks do not last longer than half an hour. 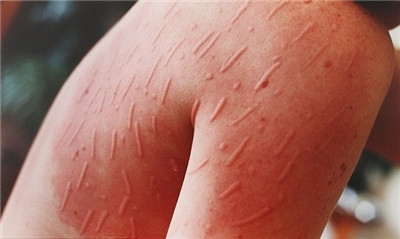 Although it is not known what causes dermatographia, penicillin, infections and emotional distress are known to trigger the condition in some people. Research carried out by researchers at Taiwan's National Yang Ming University School of Medicine, along with those at the Department of Medicine Veterans General Hospital, establishes that people who have been diagnosed with alcoholism or liver cirrhosis have an increased chance of spider angiomas. This can show as red lines on skin. If you experience swelling of the tongue, lips or throat in addition to the red lines on back then you must call 911 immediately. Sharp drop in blood pressure, chest pain, shortness of breath, skin turning blue, a weak pulse and difficulty in swallowing are all symptoms of an often fatal allergic reaction, anaphylaxis and require you to seek immediate medical care. Even if the symptoms go away, you must visit the emergency and have a shot of epinephrine just to be safe. Server responsed at: 04/23/2019 6:06 a.m.